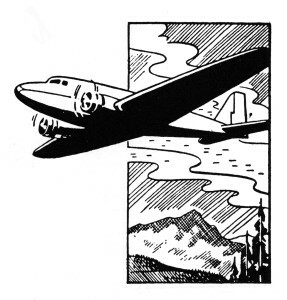 Shortly before 7:30 p.m. on November 8, 1957, a DC-3 aircraft owned by the Radio Corporation of America (RCA) was approaching Westchester County Airport in heavy rain in anticipation of landing. Visibility was poor, and cross winds buffeted the aircraft. Westchester County Airport is located in White Plains, New York, almost directly on the New York- Connecticut state line. Just as the aircraft was about to land, a gust of wind pushed it off course, sending it over Hangar D and crashing onto King Street (AKA Route 120A) in the town of Greenwich.